Donated by the Tong brothers in the name of their father: Alan. All 3 of Alan's sons have had a life-long involvement in rowing, thanks to their father. The Tong brothers are currently coaching school crews in Auckland, Hamilton, and Wellington. 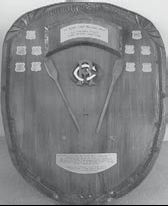 Awarded at Maadi (National Champs) to the winner of the Boys under-17 eight, the Shield is currently held by St Bede's College [STBD]. The St Bede's College crew won the event in 2013 by about three quarters of a length from Hamilton Boys High School [race results]. 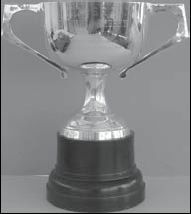 Awarded at Maadi (National Champs) to the winner of the Boys under-15 quad, the Cup is currently held by Auckland Grammar School [AGSB]. 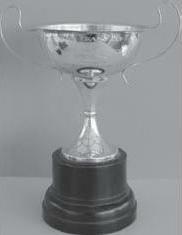 The Auckland Grammar School crew won the event in 2013 by about half a length from Marlborough Boys College [race results]. 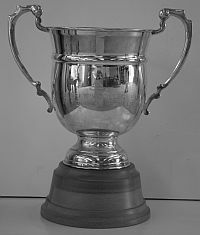 Awarded at Maadi (National Champs) to the winner of the Boys under-18 single, the Cup is currently held by Queen Charlotte College [QCHA]. The Queen Charlotte College crew won the event in 2013 by about 1.25 lengths from Kavanagh College [race results]. 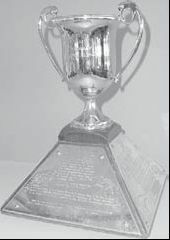 Awarded at Maadi (National Champs) to the winner of the Boys under-18 lightweight four, the Trophy is currently held by Westlake Boys High School [WTLB]. The Westlake Boys High School crew won the event in 2013 by about three quarters of a length from St John's College (Hamilton) [race results]. Full event results are available for: 2003, 2005, 2006, 2007, 2008, 2009, 2011, 2012, 2013. Awarded at Maadi (National Champs) to the winner of the Boys under-15 four, the Cup is currently held by Hamilton Boys High School [HAMB]. The Hamilton Boys High School crew won the event in 2013 by about 2 lengths from Hamilton Boys High School [race results]. 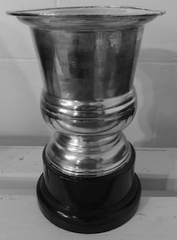 Awarded at Maadi (National Champs) to the winner of the Boys under-18 novice four, the Trophy is currently held by Wakatipu High School [WAKA]. The Wakatipu High School crew won the event in 2013 by about quarter of a length from Whanganui Collegiate School [race results]. In 2007 the event's age group changed from under-17 to under-18. For pre-2007 results you will need to check the archives. 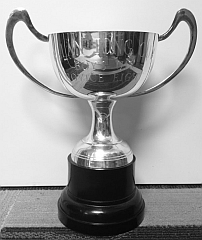 Awarded at Maadi (National Champs) since 2011 to the winner of the Boys under-17 single, the Cup is currently held by Kavanagh College [KAVA]. The Kavanagh College crew won the event in 2013 by about quarter of a length from Nelson College [race results]. Full event results are available for: 2011, 2012, 2013. 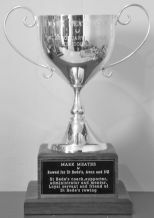 Awarded at Maadi (National Champs) since 2011 to the winner of the Boys under-16 single, the Cup is currently held by Mt Aspiring College [MTAS]. The Mt Aspiring College crew won the event in 2013 by about half a length from Onslow College [race results]. 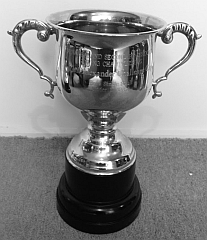 Awarded at Maadi (National Champs) since 2016 to the winner of the Boys under-15 , the Cup is currently held by Mt Aspiring College [MTAS]. Present by Leslie Saywood, NZSSRA Life member, who championed the inclusion of octuples events for decades until they were added to the Championships programme in 2016. Awarded at Maadi (National Champs) to the winner of the Boys under-17 four, the Shield is currently held by Western Heights High School [WHHS]. The Western Heights High School crew won the event in 2013 by about quarter of a length from Whanganui Collegiate School [race results]. 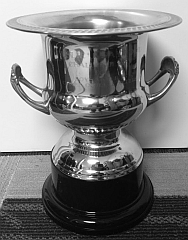 Awarded at Maadi (National Champs) since 2014 to the winner of the Boys under-18 novice double, the Cup is currently held by Cambridge High School [CAMB]. Presented by the Baxter family in memory of Russell's involvement with rowing and his love of Maadi. Russell was the person instrumental in introducing and developing the filming and broadcast of Maadi regattas. Russell died in October 2013. 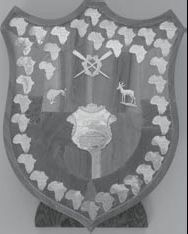 Awarded at Maadi (National Champs) since 1965 to the winner of the Boys under-18 four, the Shield is currently held by Hamilton Boys High School [HAMB]. The Hamilton Boys High School crew won the event in 2013 by about quarter of a length from Auckland Grammar School [race results]. In 1964 Cecil Purvis, who had an impressive record in rowing, athletics and boxing, was visiting South Africa. While there, he met up with Mr Silverhorne, who was in charge of youth rowing in Johannesburg. After a nights talking about rowing and sports and many drinks later, the Springbok Shield eventuated (at about 3:00 a.m.). 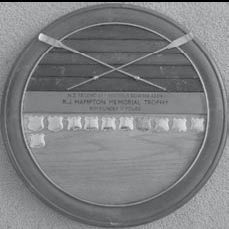 The Shield is made from segments of all the woods from South Africa and was first rowed for in 1965 at Oriental Bay in Wellington. It was first won by Hamilton Boys' High School. Awarded at Maadi (National Champs) to the winner of the Boys under-17 quad, the Cup is currently held by Kings College [KGCA]. 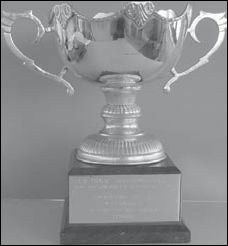 The Kings College crew won the event in 2013 by about three quarters of a length from Hamilton Boys High School [race results]. 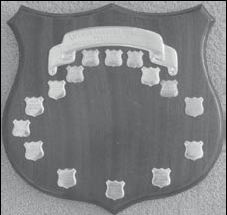 Awarded at Maadi (National Champs) to the winner of the Boys under-18 quad, the Shield is currently held by Tauranga Boys College [TRGB]. The Tauranga Boys College crew won the event in 2013 by about 1.5 lengths from St Kentigern College [race results]. Full event results are available for: 2003, 2005, 2006, 2007, 2008, 2009, 2010, 2011, 2012, 2013. 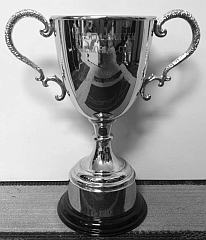 Awarded at Maadi (National Champs) to the winner of the Boys under-15 eight, the Cup is currently held by Hamilton Boys High School [HAMB]. 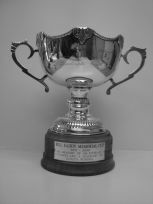 The Hamilton Boys High School crew won the event in 2013 by about quarter of a length from Marlborough Boys College [race results]. 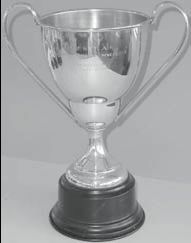 Awarded at Maadi (National Champs) since 2017 to the winner of the Boys under-16 quad, the Cup is currently held by Hamilton Boys High School [HAMB]. Donated by Wellington College to commemorate its 150th Anniversary. Awarded at Maadi (National Champs) to the winner of the Boys under-16 four, the Cup is currently held by Hamilton Boys High School [HAMB]. The Hamilton Boys High School crew won the event in 2013 by about three quarters of a length from Hamilton Boys High School [race results].